Mission command is a warfighting function and the Army's philosophy of command described within the latest revision of Army Doctrine Publication (ADP) 6-0, Mission Command. While mission command may be new to Army doctrine vernacular, the principle of trust--mission command's guiding principle--has been followed by successful leaders for centuries. It is trust in subordinates who can plan, coordinate, and execute flexible yet disciplined decision making throughout increasingly complex operational environments that gives commanders the confidence to conduct decisive action boldly. Because trust is the glue that binds mission command, leaders must understand the dimensions of trust and its impact on Soldiers and units. In executing mission command, sustainment commanders must have a broad perspective, understanding, and knowledge of activities throughout the operational area. They must share their vision of operations and the desired end state. The principles of mission command demand that understanding come "from the bottom up and not just from the top down" in order to ensure success, given the many challenges within the anticipated operational environments.2 With the development of trust comes the decentralized execution and distributed leadership that are necessary for the execution of mission command.3 To fully grasp the concept of mission command, leaders must first understand its background and legacy. Mission command, as a recognized methodology, traces its roots back to Prussian Generals Johann David von Scharnhorst, August Graf Neidhardt von Gneisenau, and Carl von Clausewitz.4 Following the Prussian defeat at the battles of Jena and Auerstedt, Germany, in 1806, the generals began an in-depth review of Prussian doctrine and, in 1837, updated the Prussian field service regulation. This was a major departure for an army and officer corps built on strict obedience to orders. The fact that the Prussians accepted that subordinates may err when taking aggressive action underscores the significance of senior leaders trusting their subordinates to act quickly within the scope of their operational intent, even when orders are not immediately rendered. Throughout the remainder of the 19th and 20th centuries, the advances in armaments and technology further solidified the need for decentralized or distributed leadership and the requirement that organizations practice what would become the tenants of mission command. In 2012, Gen. Martin E. Dempsey, Chairman of the Joint Chiefs of Staff (CJCS), published the Mission Command White Paper. In the paper, he argues that the potential for asymmetric threats and the dynamic security of the future demand the application of mission command. He also establishes three basic principles to be implemented at the joint level. These principles--commander's intent, mission type orders, and decentralized execution--are now prevalent in current joint and service doctrine.8 The paper does not place a priority on any one principle--all must be weighed and applied equally in order for mission command to succeed. Shortly after the release of the Mission Command White Paper, the Army published ADP 6-0. The Army expanded on the principles put forward by the CJCS and adopted six principles of mission command. 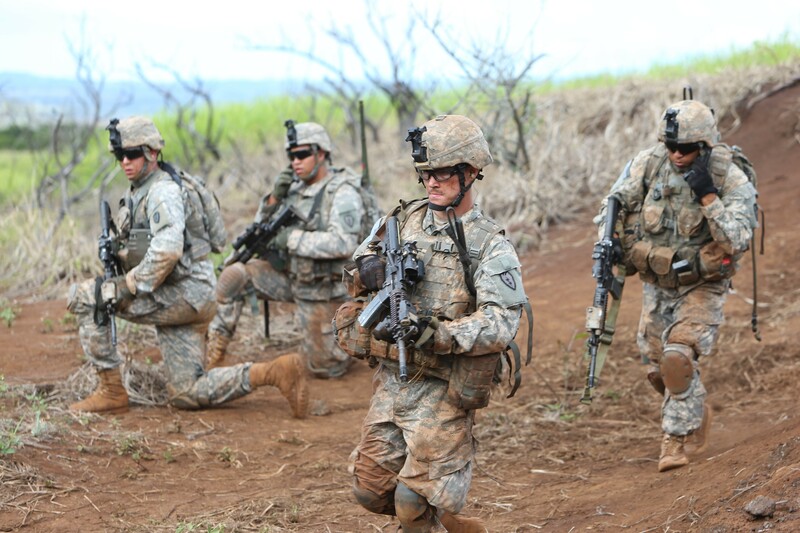 They are build cohesive teams through mutual trust, create shared understanding, provide clear commander's intent, exercise disciplined initiative, use mission orders, and accept prudent risk. Much like the CJCS white paper, ADP 6-0 does not identify which principle is most important. However, the ADP specifically refers to trust as a requirement for successfully implementing mission command. According to the dictionary, trust is "the reliance on the integrity, strength, ability … of a person or thing. "10 In his foreword for ADP 6-22, Army Leadership, Chief of Staff of the Army Gen. Raymond T. Odierno states that "Soldiers trust their leaders. Leaders must never break that trust, as trust is the bedrock of our profession." In the Army, trust is essential not only to leading units but also to accomplishing the mission. The relationships between commanders and subordinates and the relationships between units are based almost entirely on two dimensions of trust--human and organizational. Trust in an organization's leadership is closely linked to organizational success and subordinates' performance.13 Conversely, research also shows that once trust is broken or abused, severe and undesirable effects can happen.14 When leaders exhibit poor accountability or violate a given set of values, they stand to lose not only the trust of their subordinates but also the trust of their senior leaders. Other studies, however, have found that positive personal interactions between organizational leaders and distant subordinates help to develop a perceived closer relationship that contributes to the development of trust. When subordinates are physically separated from their parent organizations, these individuals often look at the organization's leaders' past accomplishments, interactions, reputations, and the organizational goals to develop a level of trust.16 With the development of the human dimension of trust, leaders can implement the principles of mission command. The organizational energy that is developed with esprit de corps can carry an organization through the toughest of times. As members of an organization develop esprit de corps and build a loyalty to the organization and each other, a cycle develops that perpetuates itself as new members join. Establishing esprit de corps does not happen by accident. The explicit codes of organizational culture, such as the Soldier's Creed and Warrior Ethos, provide the basis for an Army organization's conduct. Organizational leadership positions also have standards such as competency and moral and ethical leadership that set the tone of the organization. Leaders of confidence, competence, and high moral values exude esprit de corps and provide a contagious commitment to the organization and its norms.21 The old adage that actions speak louder than words is absolutely true and supported by research. Organizational trust gained through the displayed values and actions of its leaders and subordinates is critical for the successful implementation of mission command. The doctrinal terms decentralized execution, decentralization, and empowering agile and adaptive leaders, all imply the same thing--distributed leadership. According to author James P. Spillane, "distributed leadership is first and foremost about leadership practice rather than leaders or their roles, functions, routines, and structures. "22 It is not about the elimination of a formal leadership structure or the democratization of the leadership process. On the contrary, distributive leadership requires a strong central leader who is willing and able to develop subordinates and encourages the sharing of leadership responsibilities. Army Regulation 600-20, Army Command Policy, charges commanders to develop subordinates. Part of this developmental process is the distribution of leadership responsibilities to subordinates. Good leaders recognize they cannot, and should not, shoulder all leadership requirements. It is through this leadership practice that commanders take the time to develop their subordinates' leadership skills, cultivate the human dimension of trust, begin to delegate responsibility and authority to others, and subsequently build a distributive leadership network. Although the term mission command is new to the Army lexicon, principles of the associated doctrine have been in practice in other armies since the early 19th century. Even in the U.S. Army, the tenets associated with mission command have been used by good leaders throughout history. While no tenet of mission command is singled out as the most important, trust is absolutely critical if mission command is to be effective in conducting decisive action. Leaders must visualize and communicate an understandable plan before boots hit the ground; their subordinates must be ready to implement the plan right away. Leaders must trust that their subordinates will not hesitate when presented with challenges and that they will act decisively within the operational intent. The key to making mission command work is, and will always be, the continued development of trust and understanding between leaders and subordinates produced through the distributive and collaborative leadership process. Col. (Ret.) James D. Sharpe Jr. is an assistant professor for sustainment and force management for the Army Command and General Staff College's Intermediate Level Education Course at Fort Gordon, Ga. He is a graduate of the Army War College and holds a bachelor's degree from Augusta College and a master's degree from Troy State University. While in the Army, he served in a variety of command and staff positions to include a brigade command and assignments at three combatant commands. Lt. Col. (Ret.) Thomas E. Creviston is an assistant professor for sustainment and force management at the Army Command and General Staff College at Fort Leavenworth, Kan. He is a graduate of the Command and General Staff College and holds a bachelor's degree from Southwest Texas State University and a master's degree from Central Michigan University. He is currently a doctoral candidate in instructional leadership at Northcentral University. His Army assignments included a variety of command and staff positions primarily at the division and brigade levels. 1 Army Doctrine Publication 6-0: Mission Command, U.S. Army, Washington, D.C., 2012, p. 1. 2 Army Doctrine Publication 4-0: Sustainment, U.S. Army, Washington, D.C., 2012, p. 11. 3 Keith G. Stewart, "The Evolution of Command Approach" (Paper 192), paper presented at the International Command and Control Research and Technology Symposium, Santa Monica, Calif., June 2010, p. 10. 4 Ivan Yardley and Andrew Kakabadse, "Understanding Mission Command: A Model for Developing Competitive Advantage in a Business Context," Strategic Change, Vol. 16, No. 1-2, January-April 2007, pp. 69-78. 6 Yardley and Kakabadse, pp. 69-78. 8 Gen. Martin E. Dempsey, "Mission Command White Paper," Office of the Chairman of the Joint Chiefs of Staff, Washington, D.C., April 2012, p. 3. 10 Merriam-Webster Online Dictionary, http://www.merriam-webster.com/, accessed 2012. 11 Training and Doctrine Command Pamphlet 525-3-7-01: The U.S. Army Study of the Human Dimension in the Future 2015-2024, U.S. Army, Washington, D.C., April 2008, p. 54. 12 Vicki L. Goodwin, J. Lee Whittington, Brian Murray, and Tommy Nichols, "Moderator or Mediator? Examining the Role of Trust in the Transformational Leadership Paradigm," Journal of Managerial Issues, Vol. 23, No. 4, December 2011, pp. 409-426. 13 Alejandro Torres and Michelle Bligh, "How Far Can I Trust You? The Impact of Distance and Cultural Values on Leaders' Trustworthiness," Journal of Leadership, Accountability and Ethics, Vol. 9, No. 2, pp. 23-38. 14 Donald L. Ferrin and K.T. Dirks, "Trust in Leadership: Meta-Analytic Findings and Implications for Research and Practice," Journal of Applied Psychology, Vol. 87, No. 4, 2002, pp. 611-628. 16 John Antonakis and Leanne Atwater, "Leader Distance: A Review and a Proposed Theory," Leadership Quarterly, Vol. 13, No. 6, December 2002, pp. 673-705. 17 Kirsimarja Blomqvist and Pirjo Stahle, "Building Organizational Trust," paper published at the 16th Annual Industrial Marketing and Purchasing Conference, Bath, England, 2000, pp. 221-233. 18 Sven Volpel and Eric Kearney, "Trust Within Organizations--Benefiting from Demographic Changes by Fostering Intra-Organizational Trust," Forum on Public Policy, September 2008, Vol. 2008, No. 1, pp. 1-17. 19 William D. Reisel, Swee-Lim Chia, and Cesar M. Maloles III, "Job Insecurity Spillover to Key Account Management: Negative Effects on Performance, Effectiveness, Adaptiveness and Esprit de Corps," Journal of Business and Psychology, 2005, Vol. 19, pp. 483-503. 20 Scott Vitell and Anusorn Singhapakdi, "The Role of Ethics Institutionalization in Influencing Organizational Commitment, Job Satisfaction and Esprit de Corps," Journal of Business Ethics, 2008, Vol. 81, No. 2, pp. 343-353. 22 James P. Spillane, "Distributed leadership," The Educational Forum, 2005, Vol. 69, No. 2, pp. 143-150. 23 Alma Harris, "Distributed Leadership: According to the Evidence," Journal of Educational Administration, 2008, Vol. 46, No. 2, pp. 172-188. This article was published in the July-September 2013 issue of Army Sustainment magazine.